Luce della Vite wines? Order Luce della Vite wines easy and safely! The story of Luce speaks of care, expertise and patience. It speaks of nature and respect. 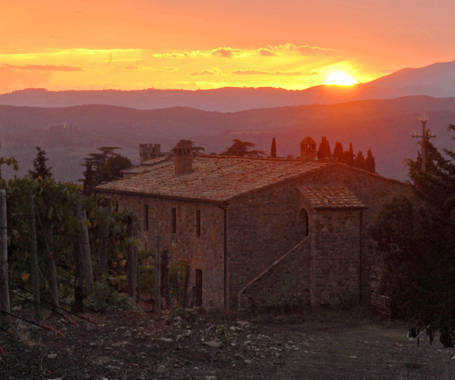 Luce’s tale speaks of great Tuscan wines. When Vittorio Frescobaldi – at the beginning of the 90s – met Robert Mondavi, it brought about a new chapter in the history of great Tuscan wines and in the history of quality wines. After that meeting, there was Luce. Everything came from a desire to realize a dream: creating exceptional wines in the environment of an already particularly suitable terroir, Montalcino. An ambitious project, baptized Luce della Vite, in homage to the primary element which brings heat, energy and life. Nothing would exist in nature without light. Sun, heat, life. This is the tale of Luce. Over the years, the Luce Estate honored this vision by becoming a cradle for wines to take shape, which overcame borders to gain unanimous international appreciation and consensus. The nature of time has seen passing of the baton to Lamberto Frescobaldi, Vittorio’s son. Under his guidance, the Luce Estate has gained further appreciation and knowledge, of respectful discipline to the rhythms of nature, and beloved and appreciated winemaking quality. As in nature, the Luce Estate is rooted in revolution and transformation; roots which are ever-deeper because they are living, bringing nutrients and creating life. Man’s merit, guardian of knowledge and experience. Merit of the respect for the cadenced rhythms that rule life. As only nature knows. Montalcino is our home. It’s our Land. Montalcino is an exceptionally suitable terroir where the best Italian wines take shape. A land with gentle slopes, caressed by the Air in the form of constant winds, warmed by the Sun, nourished by the Water in raindrops that we wisely look after. A land, ours, the heart of an extraordinary production that is hazy in the mists of time, which the Luce Estate continues to perpetuate. A place; Montalcino, in perfect harmony with the surrounding vineyards, where nature is full, rich in biodiversity. Typically Italian landscapes, classically Tuscan and beloved, bring extraordinary made in Italy wines to life.